NVDA team organized a workshop for training participants on using eSpeak Punjabi with NVDA software. 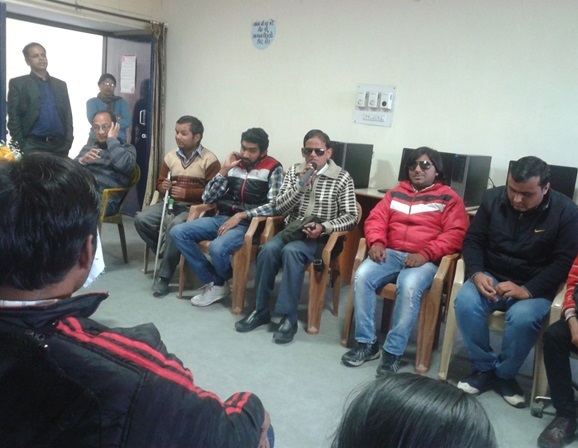 The workshop was held at Asha Kiran Training Institute on February 20 and 21, 2015. Twenty-three delegates attended the workshop. NAB, Chandigarh was the training partner. The workshop was inaugurated by Mr. Tilak Raj, Director, Ministry of Social Justice and Empowerment, Government of Punjab. The salient feature of this programme was that except for one all the participants were connected in the use of Punjabi in their academics, and hence the enthusiasm for learning the use of Espeak with NVDA was noticeable. 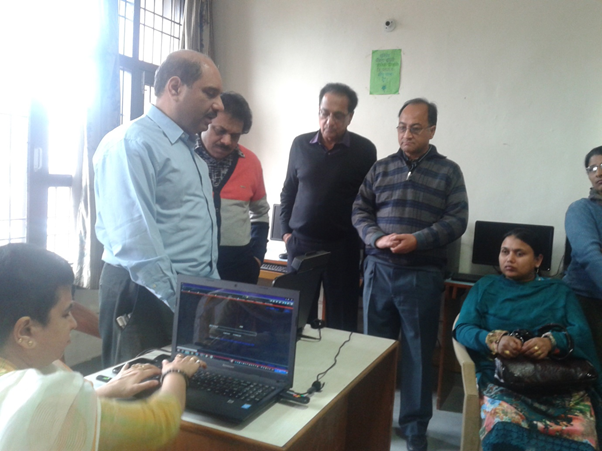 The Punjabi typing session was conducted by the developer of eSpeak Punjabi, Mahesh Inder. The workshop also introduced the participants to use of assistive devices and the advantages of technology in a professional’s life. Pictured above: Faculty imparting training on laptop to use the NVDA software as delegates listen keenly.